I've spent the last 4 hours searching for a setting I know exists but can't find anywhere. Google is no help and I've tried searching the forums here and can't find anything. HOW DO I MAKE THE BUFFS APPEAR ON TOP OF THE VITALS? I've literally gone through the every ini file plugin file and option I can find. 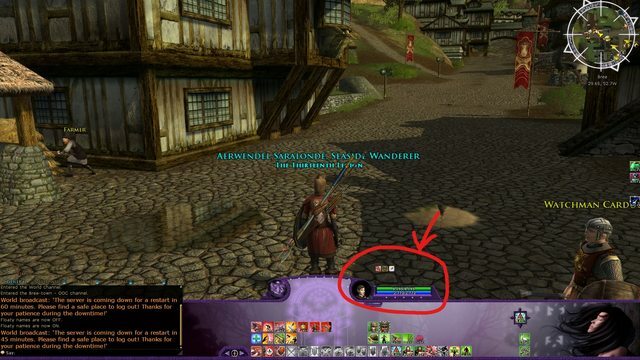 I know this exists as it's on my two newest characters on ithil. here is a photo of what I mean. this is how is should look. Not sure where else to ask as this is incredibly frustrating and makes no sense why I can't find this simple option I KNOW I've found before. 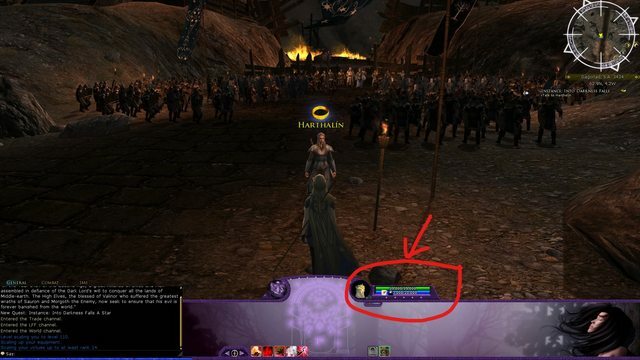 I wish I could help, but this has to be something custom as I've never seen it before - and I have been playing LotRO for almost 12 years. That should be controlled by the UI skin. Do you have the same UI skin selected for both users? If you're using separate computers, do you have the same version of the UI skin installed in both places?